Among major MRI manufacturers, GE has one of the largest install bases in the US. Within that install base, the Excite has been quite a popular model. However, systems like the Excite are aging, causing many to begin considering their options for replacement. But while the Excite is aging, imaging facilities are feeling the pinch between advancing their MRI technology to better serve patients and operating within tightening budget constraints. To help meet both of those needs, we suggest considering a field upgrade to the 15x, 16x, or 23x platform level. To qualify that suggestion, we'll share seven benefits you can reap when you choose an Excite upgrade over replacement. Very few things are "one-size-fits-all", and most things described as such don't fit particularly well. This is why we encourage imaging equipment buyers to explore their options when it comes to financing capital equipment. Beyond that, we also encourage buyers to look into all the other things their equipment provider includes in a financed purchase. You don't have to settle for boilerplate arrangements when you acquire your next imaging system. 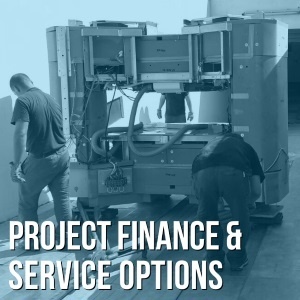 We can't speak for other providers, but we can share our own scope of services (financial and otherwise) as one example of how the market can flex to customize your imaging equipment project needs. A reliable MRI machine is a cornerstone modality in any medical imaging equipment stable, especially when that reliability is coupled with recent advances in technology. Of course, advanced technology isn't always easy on your budget. 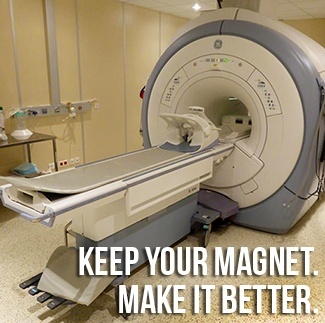 The good news is, the reliable, used MRI machine that's already sitting in your facility may still hold significant value. If you find yourself preparing to upgrade your MRI scanner to a more advanced platform, here are a few keys to selling your existing system that will help offset the cost and clear the way. Click here to tell us about your system and find out its value. Competitive pressure in the world of MRI is at an all-time high. Reimbursements aren’t getting any better, yet the market demands high-quality images and efficient throughput. Not just any old magnet will do either. Most insurance payers require MRI scanners to be accredited through the American College of Radiology (ACR), which maintains strict guidelines for image quality. For most facilities, the days of "prestige buying" are long gone, and new value-based purchasing initiatives have patients shopping MRI providers from a much more holistic perspective than simply seeking the latest and greatest from the top OEMs. 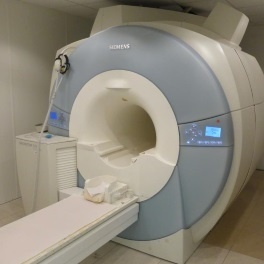 Amid the pressure, however, there is some good news for facilities that own and operate GE MRI scanners: You may be able to upgrade your MRI capabilities without having to purchase an entirely new scanner. Below, we'll share with you how your GE MRI system could be upgraded to improve quality and meet demand with lower costs and less downtime. Recently, prominent health insurance provider, Anthem rolled out a policy ceasing reimbursement for outpatient MRI and CT scans performed at hospitals in nine states. In August, they announced plans to expand that policy to five more states by March 2018, at which point an estimated 4.5 million BCBS members will be affected. Unsurprisingly, the policy is polarizing among imaging providers. 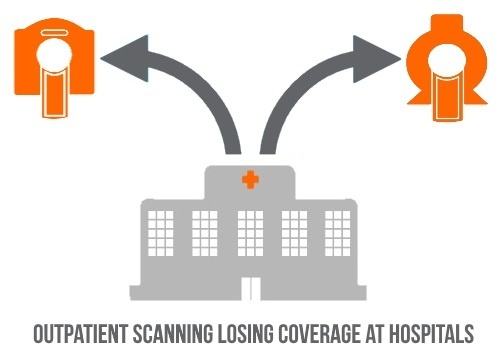 Hospitals clearly aren't in favor of this change (a statement from the ACR calls the policy, "arbitrary and unwise" 1), seeing it as a harsh blow to their bottom line, while freestanding imaging centers see it as an opportunity to expand their services through greater referral volume. Below we'll take a look at the facts of what Anthem has implemented as well as offer some ideas about what this move might mean as its aftershocks continue to be felt at facilities of all stripes across the medical imaging field.